Step back in time to Manhattan, New York, 1869 and meet JESSICA – out today!! Manhattan, New York, 1869 – I have always loved time period pieces, in all media forms, whether it be a novel, a piece of music or a movie. Perhaps it’s my classical theatre background, I’m not sure. 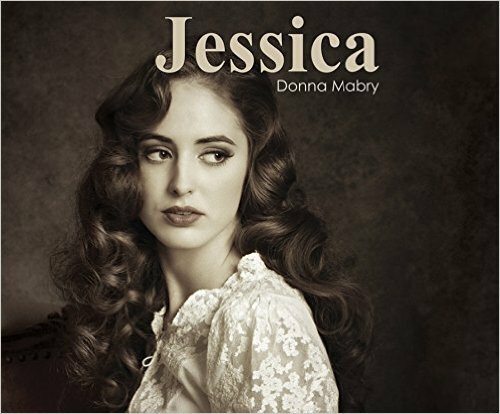 What I do know, is that it was with great joy that I returned from Manhattan, New York, 2015 to learn the wonderful news that I would be narrating JESSICA by Donna Mabry for Dreamscape Media. I have loved working on this first book in the Manhattan Series and I’m so excited to celebrate today’s audiobook release day of JESSICA. Here is a short descripton to give you an idea as to what this beautiful story is all about. Jessica grabbed my heart from the moment my eyes met the very first page. I hope she’ll do the same to yours. Enjoy! This entry was posted in Audio Books, Narration, News and tagged 1869, Donna Mabry;, Dreamscape Media;, Manhattan Kansas, Manhattan New York, Period Pieces. Bookmark the permalink.